There are a number of application areas where the pharma equipments are needed. K J Pharma Tech is the leading manufacturer of an ample variety of stainless steel products which are useful in industries that deal with pharmaceutical applications. The range of products we offer consist of clean room furniture, change room accessories, tablet division, sterile and injection division, packaging division, general equipments and lab furniture. The products we offer are made from highest grade of stainless steel material acquired from top retailer in the market. The SS pharma equipments are made in the standards that are proposed by the industries. We are the supreme exporter of the SS pharma equipments in all the countries round the world. These machines are offered to our clients in the best specifications. 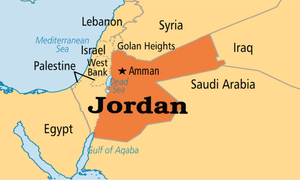 Our market reach even stretches to Jordan located in the western Asia. There are 40 cities in Jordan like Amman, Zarqa, Irbid, Russeifa, Al-Quwaysimah, Aqaba, Ar Ramtha, Madaba, Mafraq, Sahab, Jerash, Ma’an, etc. We export our SS pharma equipment in all the areas of Jordan in the decided time interval and specification ordered by the customer. We provide standard as well as customized specifications and features in the models to accurately suit the needs of the application area. The pharma equipments are required in various areas of application that deal with pharmaceuticals. Depending on the type of industry, different kind of pharmaceutical equipments is needed. The range of SS pharma equipment that we offer consist of apron hanging cabinet, dustbin, cupboard, tray, lockers, first aid box, racks, etc. They are made in a number of specifications that suit the area of application and usage. Each model of the equipments is prepared from the best grade of stainless steel materials to make them durable. We develop them in accordance to the standards that are offered by the government and are modified on the request of the client to perfectly suit their needs. The equipments are made to suit the requirements of the industry accurately. Our range of SS pharma equipment is exported to the Kuwait, in western Asia situated in the northern edge of the Eastern Arabia having 4th highest per capita income in the world. 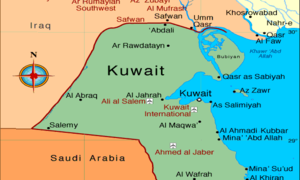 There are 18 cities in Kuwait like Al Ahmadi, Hawalli, As Salimiyah, Salwa, Al Fahahil, Kawait city, Bayan, Al Jahra, etc. We export our SS pharma equipment in all the areas of Kuwait in the decided time interval and specification ordered by the customer. We provide standard as well as customized specifications and features in the models to accurately suit the needs of the application area. They can be availed by the customer in the features and dimensions that they desire. We export them and ensure timely delivery of the product and offer them at the best rates. KJ Pharma Tech is the leading industry in the domestic and international market as most prominent manufacturer of stainless steel pharma equipments. The wide range of products that we offer is a result of the hard work of our excellent and highly skilled workforce who handles each process executed in the industry. This extensive range of products is made in accordance to the industry standards to accurately suit the requirements of the world. The range of stainless steel products we make consists of pharma furniture, clean room and change room furniture, trolley, rack, cabinet, etc. These products are offered in a number of specifications to perfectly fit in the application area. We provide them in the standard as well as customized features and specifications. We are the foremost and reliable exporter of the SS pharma equipments to meet the needs of the industries all round the globe. We even export our products to Oman. It is an Arab country located in the southeastern coast of Arabian Peninsula. It has modest oil reserve making it 25th in global ranking. 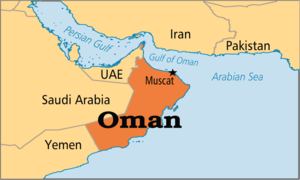 There are 43 cities and 11 governorates in Oman. Some of them are Ad Dakhiliyah, Ad Dhahirah, Al Buraimi, Dhofar, Muscat, Adam, As Sib, Bahla, Barka, Bidbid, Ibra, Ibri, Jabrin, etc. The client can select the most suitable product from the wide assortment of choice we present to them. They can buy them at the most economic price range and specifications meeting their requirement. KJ Pharma Tech is the highest rated manufacturer of various kinds of equipments that are needed in the pharmaceutical companies. We have gained wide exposure in the market regarding the requirements of different kinds of materials and products which are necessities in the pharma industries. To meet this increasing demand, we bring forth a great range of pharma equipments manufactured from stainless steel procured from highest rated dealers in the market. We manufacture a number of equipments like IPC bunker, fabrication, sheet metal, tanks, vessels, kitchen equipments, extrusion hopper, barrel guard, pharma equipment, machinery, etc. We are the best rated supplier and exporter of SS pharma equipment in all over the countries of the world. 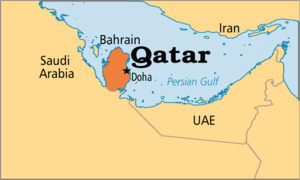 We even export our machines and products to Qatar, the city located in Western Asia on northeastern coast of Arabian Peninsula. It has high income and is backed by the 3rg largest natural gas reserves and oil reserves. There are number of cities and towns in Qatar in which the most populated is Doha having 90% of population in it. We export our SS pharma equipment in all the areas of Qatar in the decided time interval and specification ordered by the customer. We provide standard as well as customized specifications and features in the models to accurately suit the needs of the application area. They can be availed by the customer in the features and dimensions that they desire. We export them and ensure timely delivery of the product and offer them at the best rates. There are a number of use zones where the pharma equipments are required. K J Pharma Tech is the main producer of an ample assortment of stainless steel items which are valuable in industries that work with pharmaceutical applications. The range of items we offer comprise of clean room furniture, change room furniture, tablet division, sterile and infusion division, packaging division, general types of equipments and lab furniture. The items we offer are produced using most astounding evaluation of stainless steel material gained from top retailer in the market. The SS pharma types of gear are made in the standard norms that are proposed by the ventures. We are the supreme exporter of the SS pharma equipments in all the countries round the world. These machines are offer to our clients in the best specifications. Our market reach even stretches to the UAE (United Arab Emirates), the federal absolute monarchy situated in the western part of Asia at the southeast end of Arabian Peninsula. 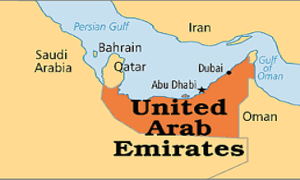 There are 7 emirates on UAE that are Abu Dhabi, Ajman, Dubai, Fujairah, Ras al-Khaimah, Sharjah and Umm al-Quwain. We provide standard as well as customized specifications and features in the models to accurately suit the needs of the application area. They can be availed by the customer in the features and dimensions that they desire. We export them and ensure timely delivery of the product and offer them at the best rates. The pharma equipments and machines are required in different areas of utilization that deal with pharmaceuticals. Depending upon the sort of industry, diverse sort of pharmaceutical types of gear are required. The scope of SS pharma gear that we offer comprise of apron hanging cabinet, dustbin, cupboard, tray, lockers, first aid box, racks, and so on. They are made in a number of determinations that suit the area and type of use. Each model of the pharma equipment is set up from the best grade of stainless steel materials to make them strong and durable. We create them as per the agreement to fit the benchmarks offered by the industries and are customized on the demand of the customer to flawlessly suit their requirements. We are the ultimate exporter of the SS pharma equipments in all the countries round the world. These machines are offered to our clients in the best specifications. Our market reach even expands to Syria, the country in Western Asia. 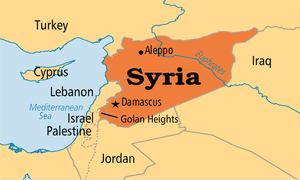 Syria is a republic consisting of 14 governorates. They are Aleppo, Rif Dimashq, Damascus, Homs, Hama, Idlib, Latakia, Hasaka, Darra, Ragga, etc. We make sure that each SS pharma equipments is supplied to the customer in the decided time interval and specification ordered by the customer. We provide standard as well as customized specifications and features in the models to accurately suit the needs of the application area. There are number of utilization zones where the pharma equipments are required. KJ Pharma Tech is the primary manufacturer of a sufficient combination of stainless steel products which are significant in businesses that work with pharmaceutical applications. The scope of things we offer involve clean room furniture, change room furniture, tablet division, sterile and infusion division, bundling division, general sorts of types of gear and lab furniture. The things we offer are created utilizing most bewildering assessments of stainless steel material picked up from top retailer in the market. The SS pharma sorts of equipments are made in the standard norms that are proposed by the industries all over the globe. We are the foremost and reliable exporter of the SS pharma equipments to meet the needs of the industries all round the globe. We even export our products to Saudi Arabia, the sovereign state of Arab constituting the majority part of Arabian peninsula. It is the 5th largest state of Asia and the 2nd largest in Arab world. It is formed from 4 distinct regions: Hejaz, Najid, Eastern and Southern Arabia. 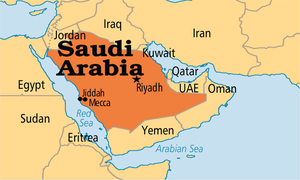 There are in all 13 provinces in Saudi Arabia like Qassim, Riyadh, Tabuk, Madinah, Makkah, Jawf, Ha’il, Bahah, etc. The client can select the most suitable product from the wide assortment of choice we present to them. They can buy them at the most economic price range and specifications meeting their requirement. We guarantee completely on time delivery of the products to the customer in the specification they ordered. We are one of the top most manufacturer of various kinds of pharma equipments made from top grade of stainless steel material. We provide an ample variety of stainless steel products which are useful in industries that deal with pharmaceutical applications. The range of products we offer consist of clean room furniture, change room accessories, tablet division, sterile and injection division, packaging division, general equipments and lab furniture. We develop them in accordance to the standards that are offered by the government and are modified at the request of the client to perfectly suit their needs. We provide standard as well as customized specifications and features in the models to accurately suit the needs of the application area. We are the foremost and reliable exporter of the SS pharma equipments to meet the needs of the industries all round the globe. 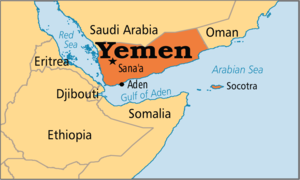 We even export our products to Yemen, the second largest country in the Arabian Peninsula. The territory includes more than 200 islands, of which the largest is Socotra. There are 39 cities in Yemen namely, Sana’a, Ta’izz, Aden, Ibb, Dhamar, Mukalla, Zinjibar, Sayyan, Sahar, Zabid, Hajjah, Bajil, Al Hudaydah, etc. We provide standard as well as customized specifications and features in the models to accurately suit the needs of the application area. They can be availed by the customer in the features and dimensions that they desire. We export them and ensure timely delivery of the product and offer them at the best rates.